The Mens RD Snar Active Shoe from Vaude combines all that a good road shoe has to offer: perfect fit, optimum power transfer, ventilation and easy handling. 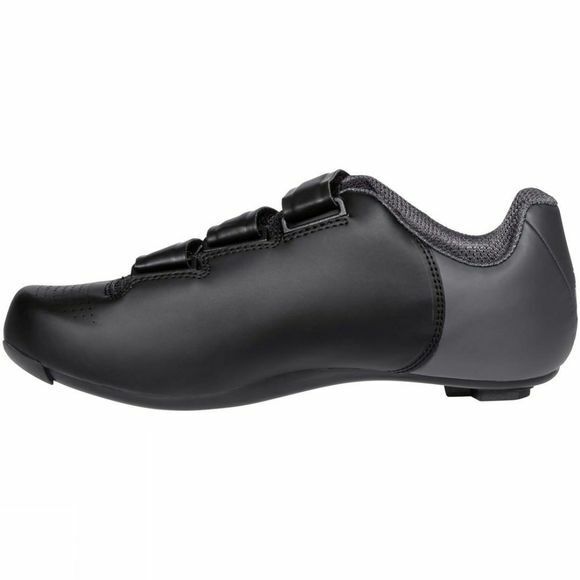 The reliable Velcro closure and anatomically formed insole allow for custom-fitting comfort. Ventilation holes in the forefoot as well as tongue keep feet well ventilated and comfortable, even during all-out tours. The stiff sole (V-Flow 8) with replaceable heel grip results in direct and efficient power transfer to the pedal. 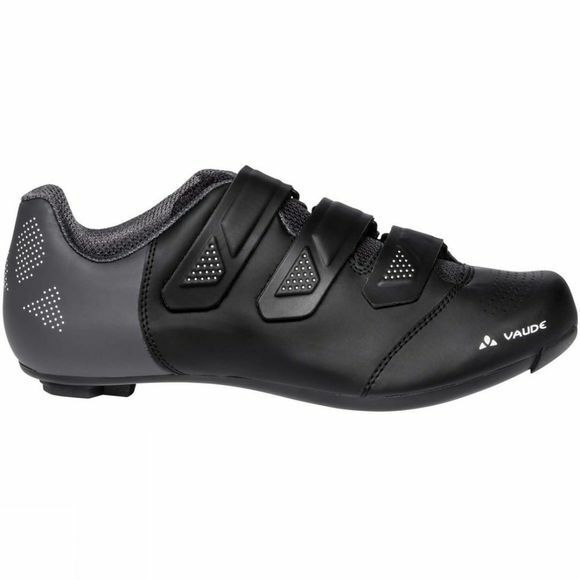 The shoe is compatible with all standard road bike pedals.